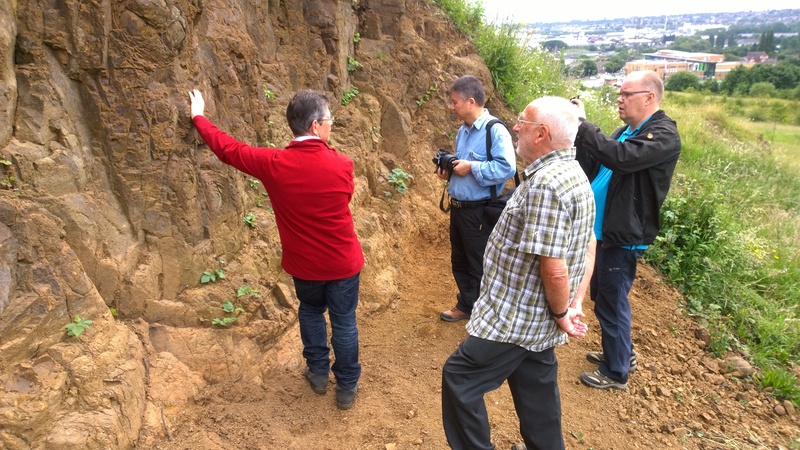 Black Country Global Geopark – UNESCO visit the Rowley Hills! On the morning of Thursday 23 June, three representatives of FORH, Julie, Bob and Mike, along with Chris Parry, Principal Ecologist for the Wildlife Trust for Birmingham and the Black Country, joined Graham Worton, Keeper of Geology at Dudley Museum and Art Gallery and the two scrutineers Jari Nenonen from Finland and Jin Xiaochi from China on their UNESCO Global Geopark Evaluation Mission visit to the Rowley Hills. To give our guests a panoramic view of the surrounding Black Country, the high point at the top of Darbys Hill Road was the first port of call. From here Graham put names to the distant hills and pointed out some of the nearby sites that had been visited during the previous two days. From here the short journey was made to the Wildlife Trust land on Portway Hill where our visitors were able to get up really close to the outstanding geological features and we were given the opportunity to talk to them about the role the Wildlife Trust and Friends of Rowley Hills played in conserving and managing this site for its wildlife and geology. Several other Sandwell sites were to be visited as part of the evaluation mission during the remaining part of the day, so with a tight itinerary in prospect, our visitors parted company, hopefully with a lasting impression to take back home, and one that will lead to a positive outcome when the decision as to whether the Black Country becomes a UNESCO Global Geopark site is made early next year. 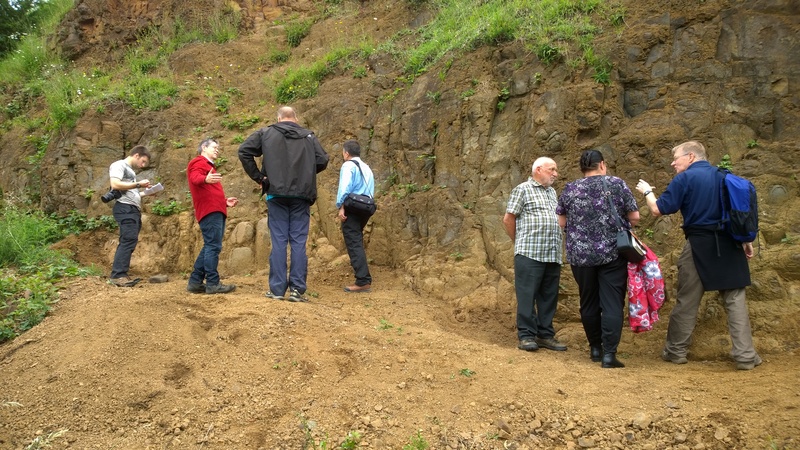 This entry was posted in Geology and tagged Black Country, Black Country Global Geopark, Friends of Rowley Hills, Geology, Rowley Hills, UNESCO, West Midlands on June 29, 2016 by janetav.